After suffering an on-the-job injury, you’re likely looking at a lengthy recovery time and accruing medical expenses. Thankfully, you have workers comp benefits that can kick in and give you the funds you need to recover, right? Unfortunately, these situations can be more complex. In some cases, your workers comp benefits might not cover all of your expenses, which leaves you wondering, “Can I file a personal injury claim for a work accident in Idaho?” Yes, and in some cases, it might be your only option. But, not all work accidents qualify for personal injury claims. 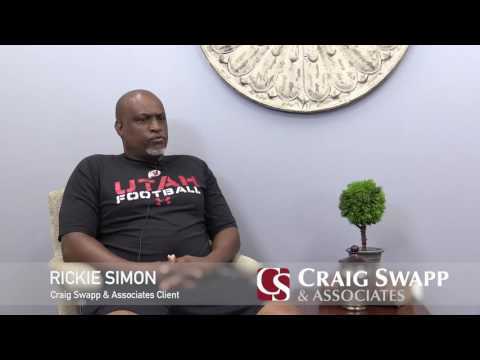 At Craig Swapp & Associates, we understand how difficult it can be to get answers about your work injury. Contact us if you’re struggling to secure the compensation you need. When you’re hurt at work, you’ll need to obtain your compensation as soon as possible. That means filing a claim as soon as possible, but which type of claim are you eligible for? Typically, most Idaho workers are covered by their workers comp benefits, so you should be able to report the injury to your employer and file a claim. Someone intentionally tried to harm you. You were exposed to illegal substances. A defective product injured you. You were hurt by a third party. In many cases, it’s best to seek out your workers comp benefits and get the coverage you need to recover. A lawsuit, however, can offer more in the way of damages than a work comp claim. So, what’s the difference? Typically, a personal injury claim will be your second option for compensation. If you’re eligible to file a work comp claim, then you’ll need to get your benefits through that method. If you’re not eligible—especially if you were intentionally harmed—you’ll need to file a lawsuit. An injury claim also addresses the issue of negligence. Workers comp is a no-fault system, which means it doesn’t matter who caused the accident. All that matters is that you’re compensated. In an injury claim, however, you’ll receive compensation because someone neglected your safety, which led to your severe injuries. When you’ve been injured at work, you might be unsure whether you can file a personal injury claim in Idaho. This requires an understanding of the difference between work comp benefits and lawsuit proceedings. Those differences might not be so clear-cut in your situation. Fortunately, a lawyer from Craig Swapp & Associates can help. Beginning with a free consultation, we’ll look into your specific situation, explain the options available to you, and help you determine the best route. Ready to get started? Give us a call at 1-800-404-9000 or fill out the online form below.